The North Belfast Harriers got the New Year off to a strong start by participating in a range of events ranging from Glenariff Forest to Tollymore Forest, with a few Parkruns thrown in for good measure. 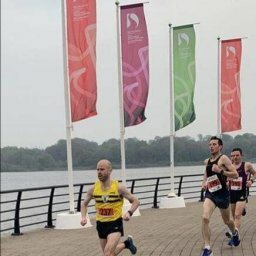 Three Harriers joined over 360 other athletes in the Race over the Glens hosted by Ballymena Runners. The six mile route took runners through the picturesque, but hilly Glenariff Forest Park. Tollymore 5K/10K is the 5th race in the Belfast Telegraph Run Forest Run Series and a great New Year challenge to work off the festive treats! The race route took in panoramic views of the Mourne Mountains and follows the forest path alongside the Shimna River in a gradual ascent past the Hermitage. North Down AC hosted the Festival of Cross County, Bangor in which the Club was represented by a single Harrier – Conan McCaughry. Conan took first place on the podium by a comfortable margin, beating his nearest rival by 1 minute, 26 seconds over the 6,500m course. This was a bumper week for Parkrun enthusiasts with two Parkruns on New Year’s Day and the regular one on Saturday. 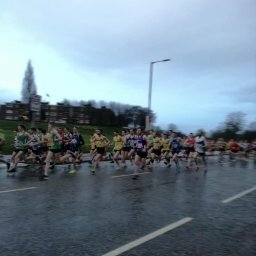 New Year’s Day saw over one hundred Harriers take part in nine Parkruns with 10 achieving PBs. Congratulations to Andrew MILLIGAN who managed to win both the Waterworks and Victoria Parkuns whilst achieving a PB in the latter. Congratulation also to Conal McCambridge who led the field at Stormont. On Saturday, over 60 Harriers took part in nine Parkruns with seven PBs. Congratulations to Nat GLENN who won the Larne Parkrun, and to Fionnuala O’HARE who was the first lady home at the Waterworks. 19 Brendan McCAMBRIDGE 00:19:51 New PB! 237 Karen McCLEAN 00:28:09 New PB! 1 Andrew MILLIGAN 00:15:34 Winner / New PB! 214 Catherine SEAWRIGHT 00:26:00 New PB! 4 Luke KELLY 00:20:00 New PB! 63 Fionnuala O’HARE 00:25:29 New PB! 68 Gerry ANDERSON 00:25:47 New PB! 138 Stella HARRISON 00:29:48 New PB! 108 Brendan McCAMBRIDGE 00:22:31 New PB! 419 Padraigin BINGHAM 00:30:36 New PB! 114 Catherine SEAWRIGHT 00:26:21 New PB! 208 Cliodhna LYNCH 00:32:38 New PB! 90 Diane TAYLOR 00:23:25 New PB! 91 Andrew TAYLOR 00:23:25 New PB! 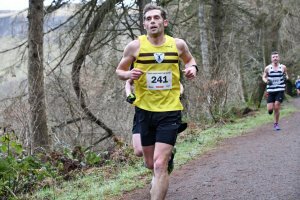 124 Philip McILWRATH 00:24:47 New PB! 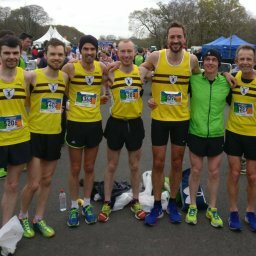 26 John McCONNELL 00:21:09 New PB! 3 Laurence JOHNSTON 00:18:48 New PB!